Millions of children and families are forced to flee from conflict-ridden countries around the world and the number of refugees is rising daily. PRERNA is a humanitarian service provider that empowers refugees resettling into the United States. We offer a comprehensive multi-year program of continuous care that meets the vital needs of families who are desperately seeking to become independent in our community. Your donations go directly to providing essential services to refugee families so they can begin rebuilding their lives in the Bay Area. In 2016, more than 96 percent of donations were used for program services. As PRERNA is an all-volunteer non-profit organization, you can be assured that your support is going directly to helping refugees and their children build a better future here. Volunteer at PRERNA to support refugees. See our open positions. 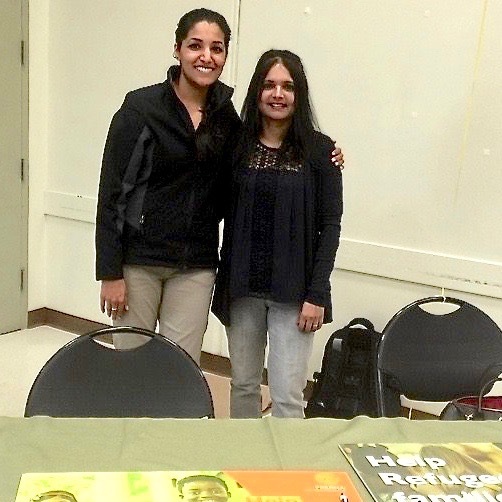 Sponsor or host an event with PRERNA to advocate for refugees.